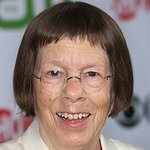 Linda Hunt is well known for roles in both movies and TV shows. Hunt is an ambassador for the Best Friends Animal Society. Google trends for "Linda Hunt"